Even if the Google self-driving car works as claimed, there’s still four million miles of road to map and plenty of unanswered questions. As Google’s Self-Driving Car Project continues to move closer to reality, it’s raising questions and opening eyes about just what it might one day become and when. In a May 27 Internet post, project director Craig Urmson described some parameters about what the car would and would not be. First off, it’s a two-seater that looks very much like a futuristic Volkswagen Beetle. And it’s a minimalist vehicle, as the first Beetles were. But that’s where the comparisons end. 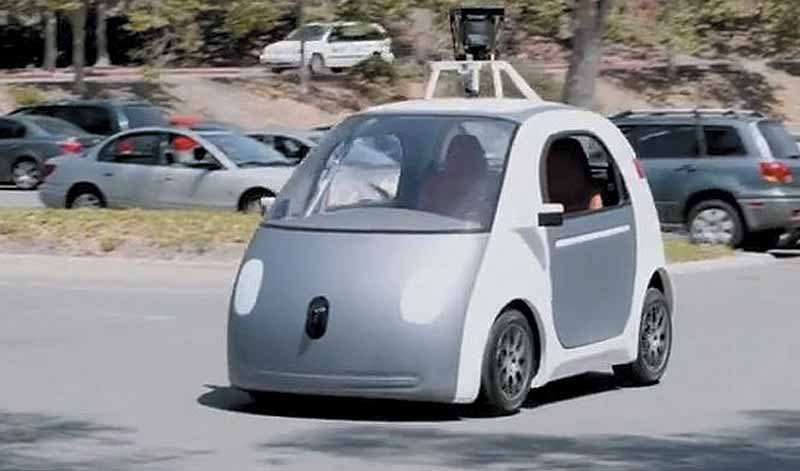 According to Urmson’s Internet post, Google is capping the speed of its driverless cars at 25 mph and will begin testing versions of its two-seater with manual controls later this summer. Google has been testing self-driving cars since 2009, logging a total of 700,000 miles so far. But this summer’s testing, which will take place in the Silicon Valley town of Mountain View, Calif., is by far Google’s most ambitious effort to date. Why Mountain View? Google has created incredibly precise and detailed digital maps of the roads in Mountain View. That information is fed into the car’s computer, which uses it to plot its route and avoid obstacles. It’s why the car works in Mountain View today, but doesn’t – yet – in Manhattan or in Moose Jaw, Canada. According to a report on www.Atlantic.com, so far Google has mapped about 2,000 miles of U.S. roads, leaving about 3,998,000 miles more to go. According to multiple new reports, Google is working with one of Detroit’s Big Three automakers to build the prototypes. Speaking at the Code conference in Southern California on May 27, Google co-founder Sergey Brin would say only that the automaker would work with an unspecified partner or partners when the cars eventually reach production. “Within a couple of years I hope we will surpass the safety metrics we’ve put in place, which is to be significantly safer than a human driver, and we will start testing them without drivers and hopefully you’ll be able to utilize them at some limited cities,” Brin told conference attendees. Google designed the exterior of its self-driving car to be cute – warm and fuzzy – so as not to scare off buyers afraid of having no control over where they’re going or how fast. Clearly, a lot would have to happen for driverless cars to become a reality. For one thing, they would have to be made legal to operate, which they aren’t in most places right now. And in the lawsuit-crazed United States, the potential for protracted litigation in case of a collision with one of these cars is immense. There are myriad other questions as well. What would it cost? How big is the market? Would customers be satisfied with a car that only goes 25 mph and has minimal creature comforts? How much more development work is needed to make it a reality? Is this a product the world wants and needs? The world will get a chance to respond. Slowly. 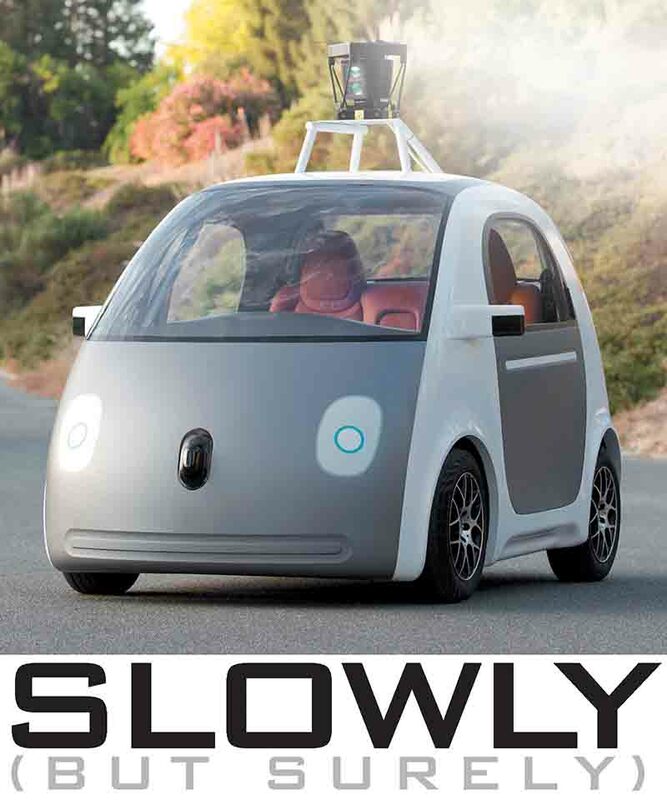 Google is capping the speed of its self-driving car to 25 mph. Testing of cars with manual controls will begin this summer. 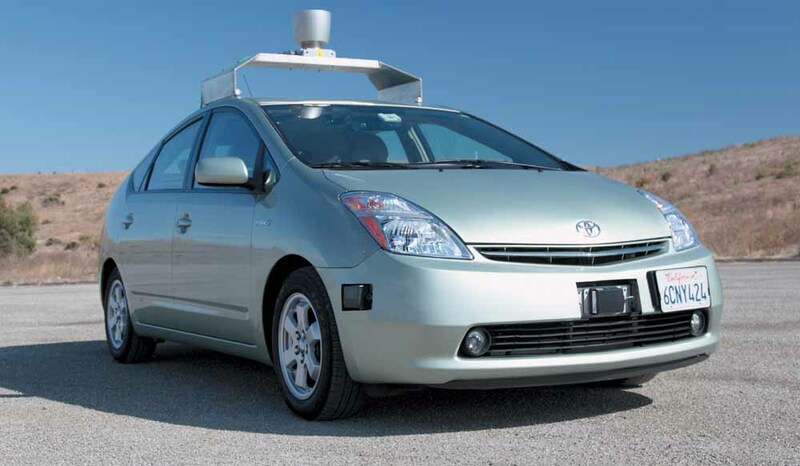 Initially, Google modified a Toyota Prius to be self-driving. Note that the roof-top device is similar in size to what sits atop the new Google car. To be self-driving, the mapping of the streets must be very precise. Mountain View, Calif., is mapped as such, but that still leaves the rest of the country, or about four million miles. KITTY CAT: Jaguar is the latest automaker targeting the BMW 3-Series with a new product offering, in this case the Jaguar XE. The new and trimmer cat goes on sale in Europe next year and North America in 2016. Key takeaways: an aluminum body and four-cylinder engines that are the first to be developed in-house since Tata Motors of India bought Jaguar in 2008. 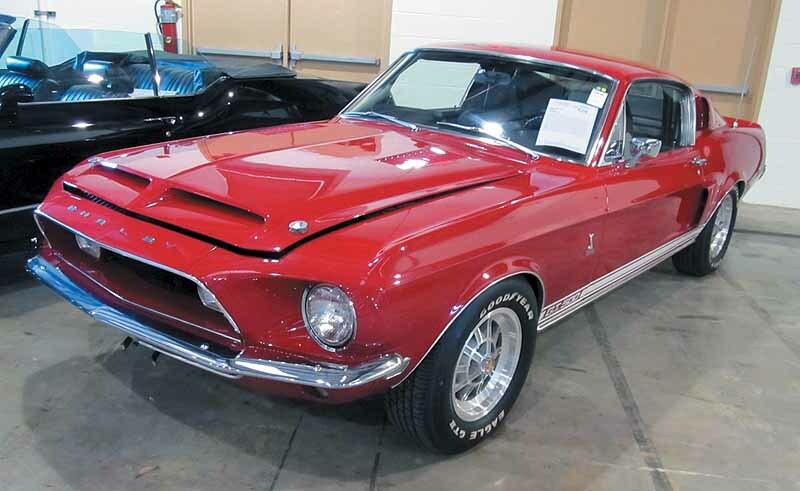 SHELBY MUSEUM IN THE WORKS: Plans are under way to construct and open the Carroll Shelby Automotive Museum in Gardenia, Calif., next year. The 40,000-square-foot facility will be built next to the engine factory and offices where Shelby worked for much of his life.